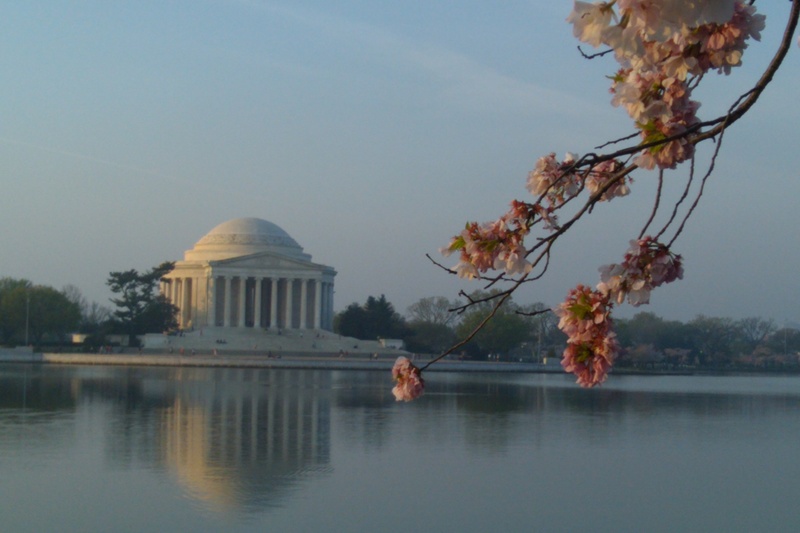 This is the centennial of the Washington DC Cherry Blossom Festival. 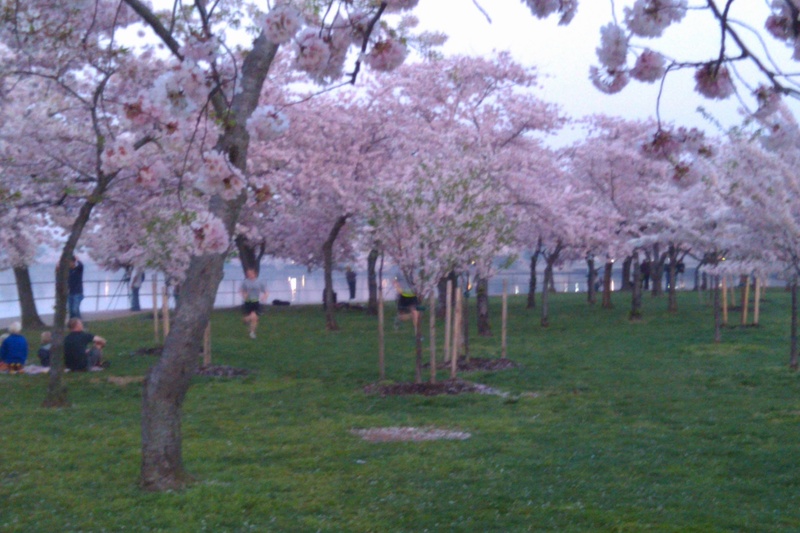 100 years ago, the government of Japan presented our government with ornamental cherry trees, which were planted around the Tidal Basin. 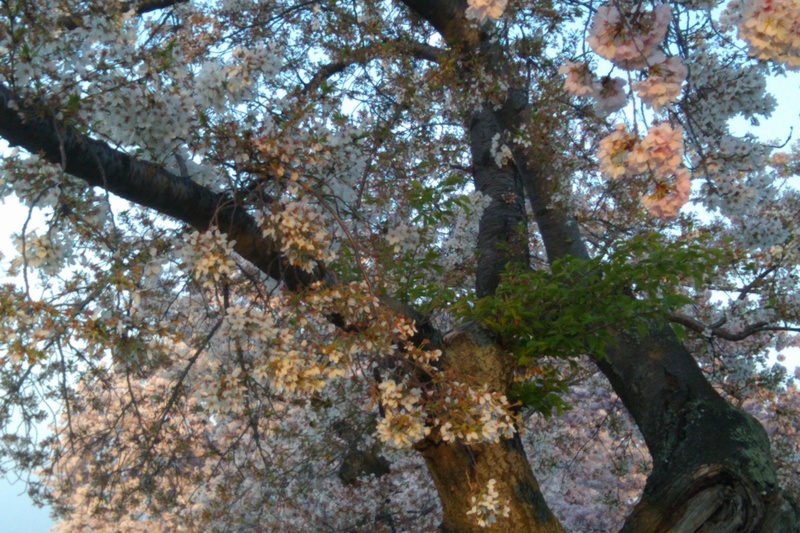 Every year since, the city has celebrated the arrival of spring by commemorating that gesture of friendship and harmony between our two nations (mostly kept intact) and the blossoming of the trees that signals the end of a long winter. Early on the opening day of the festival, I went along with Dennis and PJ for a pre-dawn photo expedition. Both master photographers, they form the Via Lucis project, in which Ann and I are involved; and were in town to photograph the Washington National Cathedral. I captured a few shots, too, on my Droid phone camera; including a few candid shots of the two of them at work. 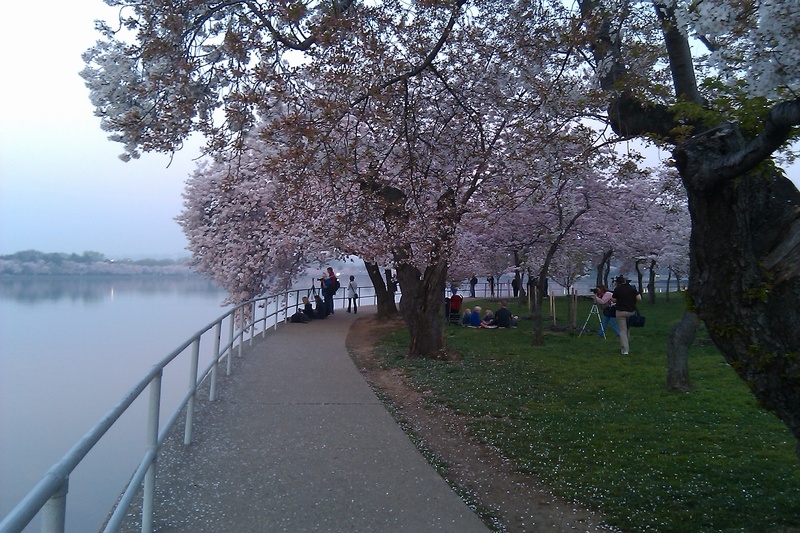 The sun rose clear and cool that day, making it easy for even camera-phone chumps like me to get decent results. Speaking of results, Dennis and PJ’s beautiful work of this and other subjects can be viewed at Via Lucis’ blog. Previous Previous post: Oh to Be a Poet Now That Spring Is Here!